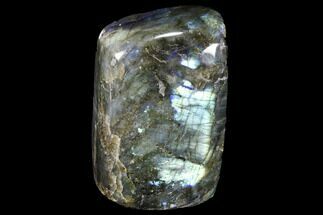 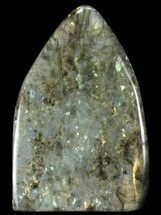 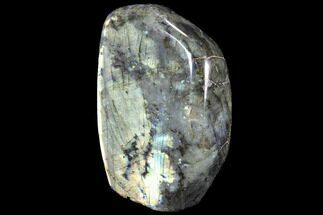 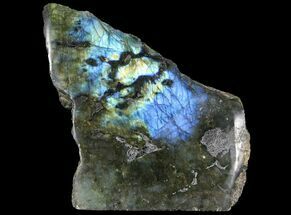 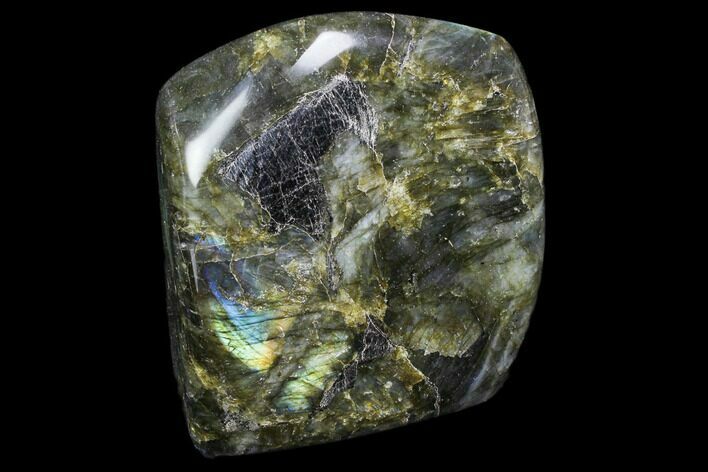 This is a flashy, polished piece of Labradorite. 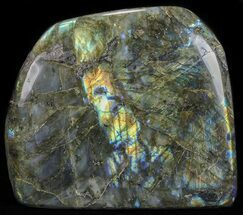 The brilliant blue/green/gold colors have a lot of play in the light, giving the piece an entirely different personality when viewed in different angles and lighting. 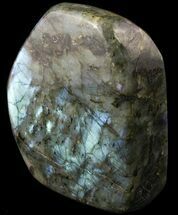 The base of the piece has been cut flat so that it stands up on it's own.